Just like humans, you can get your pet vaccinated to prevent serious, possibly life-threatening complications. It's best to educate yourself about the vaccines available. At Stanton Pet Hospital, serving Stanton, CA and the surrounding area, we help you stay up to date on your pet's vaccines to keep him or her healthy for years to come. Vaccines are a form of medicine given to your pet to prevent diseases. Basically, our veterinarian gives your pet a medication that's either a live but weakened or synthetic virus or bacteria that boosts your pet's immune system to fight the infection if he or she ever came in contact with it in the future. Especially if your pet comes in contact with other pets or animals in general, you want to protect him or her from the virus and bacteria other pets carry. While it's possible to treat many conditions, sometimes by the time your pet experiences symptoms, it's too late for treatment. For instance, conditions like rabies almost always lead to death. Plus, in the state of California, dogs must have their rabies shot to comply with state law. The core vaccines we offer for cats include feline herpes virus, feline panleukopenia, and feline calicivirus. We recommend you get your cat vaccinated against rabies, and so does the state. Leukemia virus is a noncore vaccine you may want to get your pet cat. You want to get your dog his or her core vaccines, which include parvovirus, canine adenovirus, and canine distemper. Your dog must have his rabies vaccine. You want to get your dog or cat his or her first round of vaccines starting between the ages of six to eight weeks. He or she needs boosters every three to four weeks with the last vaccine given at 16 weeks of age or later. Dogs or cats who don't receive their vaccines until they're over 16 weeks only need two doses of the vaccine. No matter how early or late you get pet vaccinations, you'll need to get him or her boosters every year. However, your pet only needs his or her rabies vaccine updated every three years. 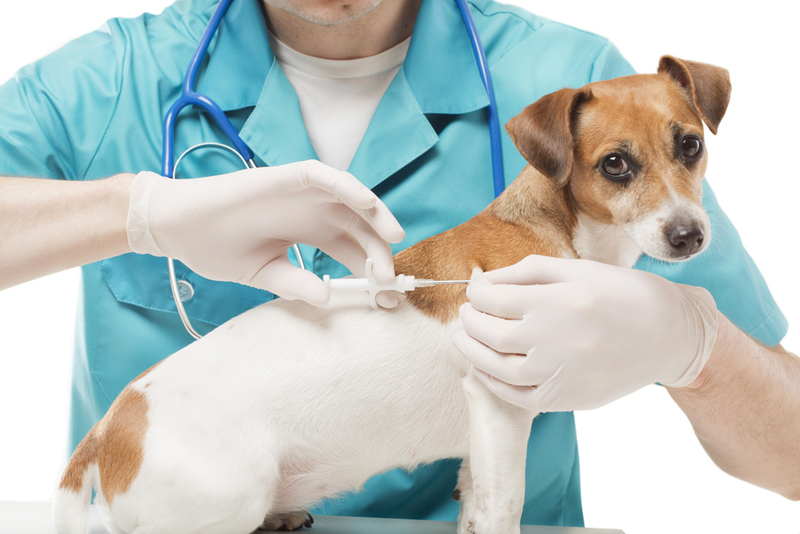 To help you decide which vaccines to get your pet, our vet assesses your pet's risk for certain diseases. Our vet may alter the schedule based on your pet's health. Get your pet vaccinated by calling Stanton Pet Hospital, serving Stanton, CA and the surrounding area, at (714) 828-5891 today.